In our home we have this beautiful grandfather clock. It has been in the family for a long time and I wanted to know more about where it came from and who made it. At the clock-face it is written N Evanoff, Båstad. That is the watchmaker Nils Evanoff who lived in Båstad. 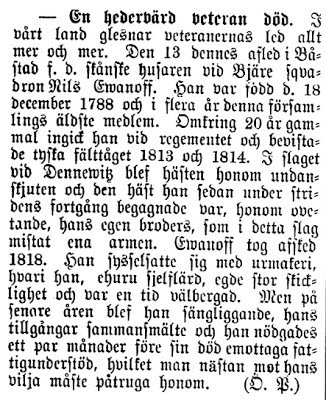 Nils was born in Hjärnarp December 18, 1788. 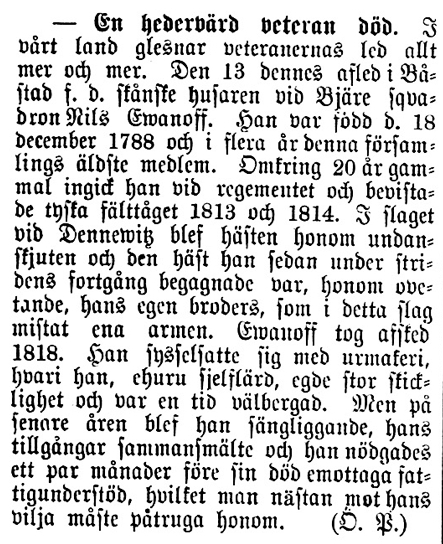 In 1812 he married Elna Nilsdotter, born November 2 1779. 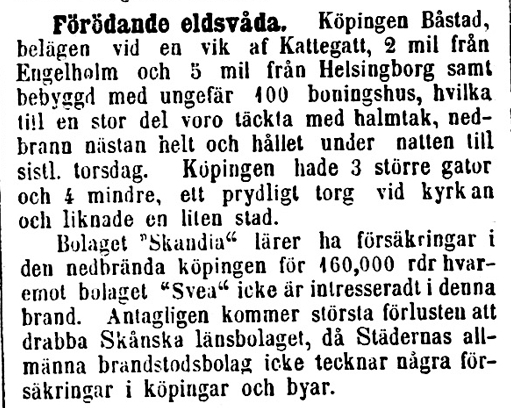 In 1827 they moved to Båstad. Nils and his brother Paul was in the Napoleon war. In the battle at Dennewitz Nils horse got shot and his brother Paul lost his arm. 1818 he left the army. According to his obituary he was a self-taught watchmaker and did make good money. Unfortunalty he got ill and was poor when he died. 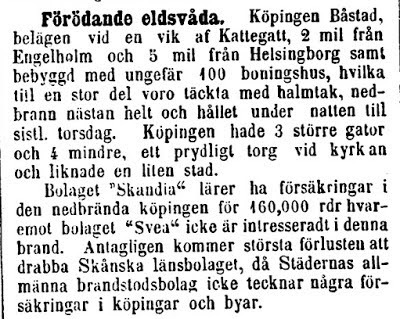 His house was also burned down in the fire in Båstad on June 9 in 1870. About the clock. It is very nice decorated. There is a year, 1819 painted on it and two initials: NP and IN. Even if Nils left the army in 1818 and the fact that his first made watches had only one pointer like this one has I have my doubts that 1819 would be the year this clock was made. It would be awesome since the watch still works. NP and IN. I have been looking backwards in the family tree and I have found Nils Pehrsson and Inger Nilsdotter and that matches from what branch I think it orgins from as well. It seems like Nils and Inger had quite a big place. Nils was born on August 24, 1821 and Inger April 16, 1819. They were both born in Förslöv. Maybe the clock was an engagement gift (with Ingers birth year painted on it), a wedding gift or some anniversary gift. I have seen a couple of watches made by Nils Evanoff but not with that many paintings and decorations on them and I havent been able to find out how big his productions was. I love it, I think it is beautiful and amazing that it still works, more than 100 years old. It has a peaceful tick-tack sound as well.